The season of barbecues and garden parties is almost among us, and what better way to see in the warmer season than a garden revamp after the cold and unforgiving winter season. Here, we’ll give you a few tips and pointers to help you make your garden a haven of peace and tranquillity that you’ll want to share with others. Wrap them delicately around pergolas, trellises and archways or draped along branches to add soft and warm lighting to any area, instantly making your garden feel more homely and welcoming. Line your pathway with solar powered floor lighting to create an enchanted feel to your garden with minimal effort. 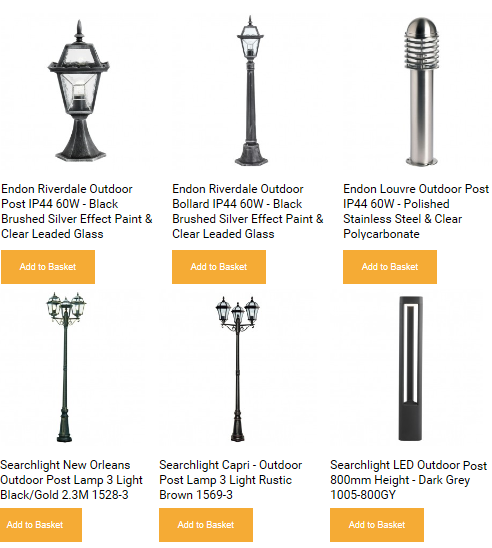 For a really luxurious look, try taller bollard lighting you can get from places like Bulbs2Go. Now is the time to be planting root veg and seeds to get a great yield in autumn, but the spring-summer period is a wonderful time to enjoy colourful flowers such as primroses, hyacinths and daffodils. For continued blooming after bulb plants have finished flowering, line the edges of your garden with hardy annual favourites like sunflowers, marigolds, and nasturtiums. When their flowering periods are over, you can harvest the seeds of sunflowers and the flowers and seed pods of nasturtiums for delicious additions to salads and garnishes. The warmer weather is a great time to get out and enjoy your garden by entertaining friends and family. Invest in good-quality outdoor furniture that will last years and fit in with your taste and home aesthetics. Plastic furniture can look tacky and need replacing more often if you choose lower-grade plastic, but there are fantastic offerings all over the outdoor furniture market with woven plastic fibres that hold their shape and structure as well as look stylish. Wooden garden furniture needs a lot more care and attention to look its best for longer, but is far more versatile and natural looking with more options for painting and personalisation. Make sure you coat the wood according to manufacturer instructions to keep it looking tip top. There are so many ways you can help your garden look its best for summer, and all these things will instantly breathe colour and life into your outdoor space.